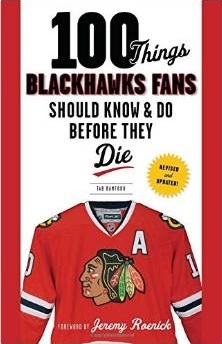 There is a magnificent story in today’s Chicago Tribune that fans of every sport, not just hockey, should read. According to the story, written by David Haugh, Kane is doing something special tonight when the Blackhawks visit the Boston Bruins. After seeing how USA Hockey announced the roster for the 2010 Olympic, Kane was not only honored but responsible to do more. Haugh reports that Kane, after a number of phone calls, connected with the youngster that wore his jersey for the ceremony and will sign the jersey he wore during the event. In a time when sports news is filled with stories like Gilbert Arenas’ guns, Chris Hendry’s unfortunate death, and baseball’s continuing steriod issues, what a great story about a superstar quietly reaching out to a kid in another team’s market to do something nice! Obviously Kane’s recent past isn’t without it’s own flaws. This past summer there was the incident with a cab driver in Buffalo that ended up a buried non-story, but it’s still something every 21-year old would like to avoid. This, though, is a step that should make any sports fan smile and applaud the young star. The NHL is begging for marketable stars. The teams in New York aren’t lighting the world on fire, and there really isn’t a marketable superstar in any of the major media markets in the United States. Fans have differing opinions on some of the other megastars in the league as well. Sidney Crosby rubs a lot of people the wrong way, and Alexander Ovechkin’s play has been criticized by players and coaches throughout the league. The league hasn’t done a good job of selling other elite players like the Sedin brother, either. Kane could become a player the NHL should celebrate, especially when he reaches out like this to do something special off the ice. As Haugh says in his article, Kane might be the best superstar in Chicago right now. Derrick Rose and Jay Cutler, the big names on the other winter teams in Chicago, are on underperforming teams that haven’t lived up to their promise yet. And I won’t even begin to talk about Chicago baseball, which Haugh covers fairly well. But Kane, the leading scorer on the best team in hockey, seems to have that “something” that many other pro athletes appear to lack. When I read the story I couldn’t help but smile. Kane will be one of the best players on the USA Olympic team, and is emerging as one of the top players in the league. In fact, he’s living up to the hype of being the top overall draft pick in 2007 as well. There are lots of wonderful people playing professional sports, but you never hear about them. It’s time for the media to celebrate players like Kane that do something, no matter how small, to be a positive influence. I do believe the amount of sites that strive to “grow their fan base by communication” is actually on the rise. Many individuals jumped into creating webpages and writing without knowing the need for developing a relationship with their viewers. Like you’ve here, congrats. ← When Burish, Bolland Come Back, Who’s the Odd Man Out?